I'm a puppy store pup. Yup! But there's more to the story. I came in very sick and they were going to send me back to the breeder. The nice breeder decided I might not make the trip back without a doctor to look after me, so she gave me to the store. She told them they had to adopt me out to a loving family. Toni, my girl, adopted me as soon as I got well. She says she's a sucker for a Pap face! I had to stay in the "hospital" for about a week to take medicine and get plenty of sleep. Doc took good care of me and here I am...good as new. I'm a Papillon. That means butterfly in French. My ears look sorta like butterflies. My grandmom fell in love with me too. Soon afterwards we adopted me a cousin to live with her. His name is Jacque. We love to play together. My boy, Brent, says I can be defined by the statement "Where is my mom". He's sorta a tease, and I think he's picking on me because I like to be by my mom all the time. What's wrong with that? I weigh 9 1/2 pounds; they classify me as a toy-sized dog. I'm not a toy, though; I'm a real dog. Some would say I'm little, but I go to the big dog park with my packmates, Xena and Tanner, all the time. I play with Marmaduke the Great Dane, Sherman the English Mastiff, and all the other big dogs too. So, I ask you, what's the big deal if I'm sorta big-challenged? I love to take walks, bike runs, dog park visits, meet new people, play with Jacque and Gram, and keep track of my family's coming and going. I'm in charge of keeping tabs on who is home and who is out. Right now I'm a little confused about that. One of my boys works in Virginia. Another one works in Thailand. My girl is away at college. So that just leaves me with mom and dad--they're easy. My proudest moment was when I earned my CGC, before Tanner. Nah, nah, nah, nah, nah, nah! Sorry, I couldn't help it. Tanner is jealous of me for getting my CGC first. When we arrived to take the test, it had just rained, and about a hundred ducks landed on the lakefront. Retriever + Ducks = Big Trouble. Sorry Tanner! The feather in my cap is that I was the first 'cover dog' for All Things Dog Blog. 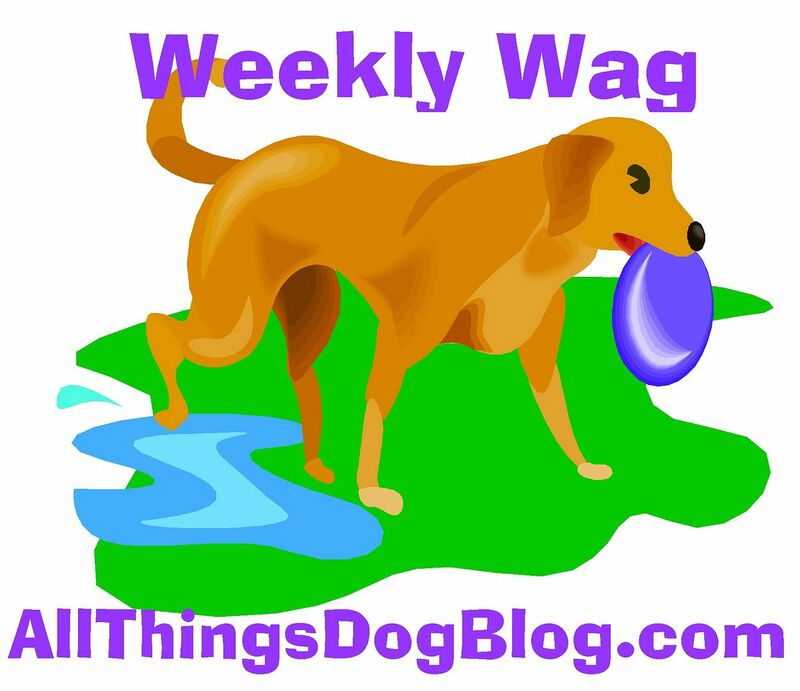 That's my Mom's blog, where she writes about happy dogs and happy families. I'm exhausted now. Naptime! Catch ya another time? Wow, this has to be the smartest papillon EVER! And might I add that it sounds like he has a pretty sweet family, this Toni chic sounds pretty awesome. I wanna hear more about Xena and Tanner now! I walk into pet stores now and then. Its jsut to look, I prefer to rescue, but it slowly looks as if i want a papllion, or a pommerainan, I will have to buy, not many here in this country. I have rescued from pet stores where they where letting the puppys get ill.. Smart Breeders know better, You were lucky you found such a sweet momma, or she found you. Each Animal has a soul, and your momma figured out yours was more special. I meet a papillon recently that was 15 yrs old, # 1 in agility here. when he was 3 he had a rottie grab him and hurt him really bad. He was so shaken, and after a yr of hospital visits, his momma had to figure out a way to get him socialised again, thats where agility came along. All papillons are smart, but your momma sees something really special in you, thats why you where featured in these blogs. Loved this one, too. Besides being adorable he also has a great personality. Your dogs have such a good home full of love. They're very lucky.